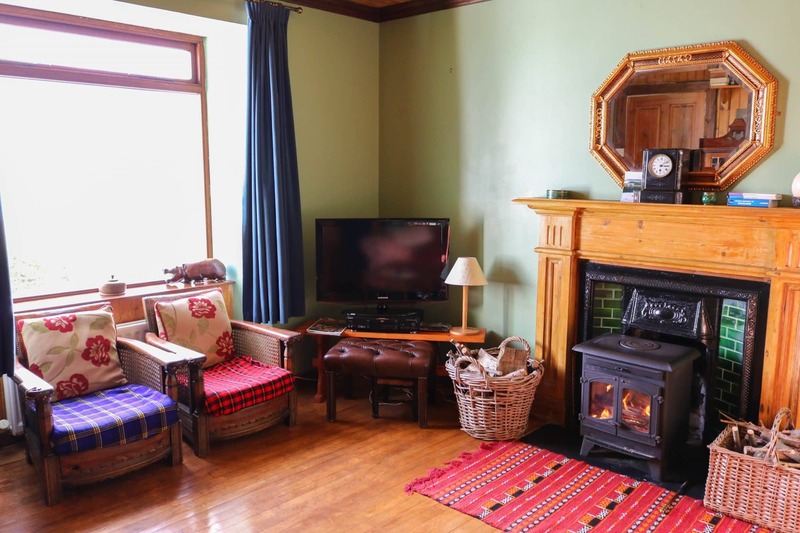 6 Totaig and The Sheiling offers the opportunity to purchase a delightful traditional 3 bedroom croft house complete with a modern one bedroom chalet all set within substantial croft land with exclusive shore access. 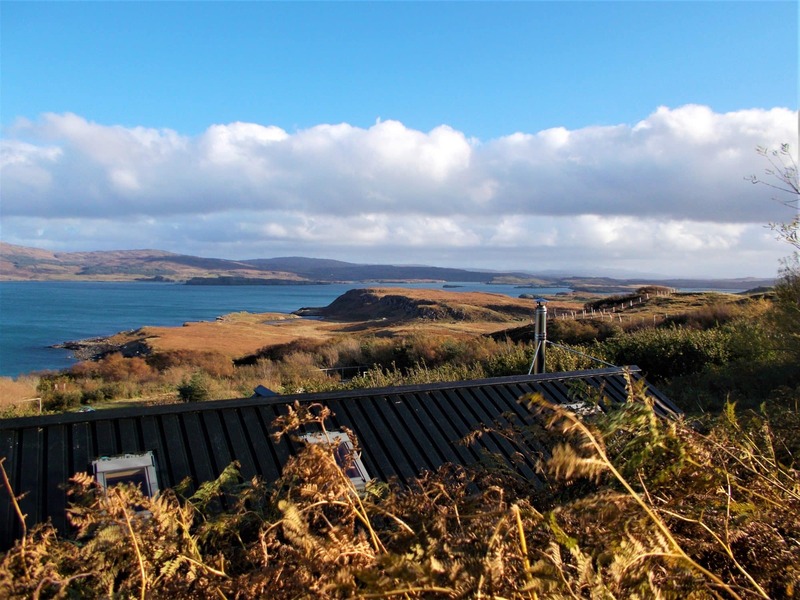 Occupying an elevated position the property boasts uninterrupted views across Loch Dunvegan towards The Coral Beach, Dunvegan Castle, Cuillin mountains and The Outer Isles in the distance. 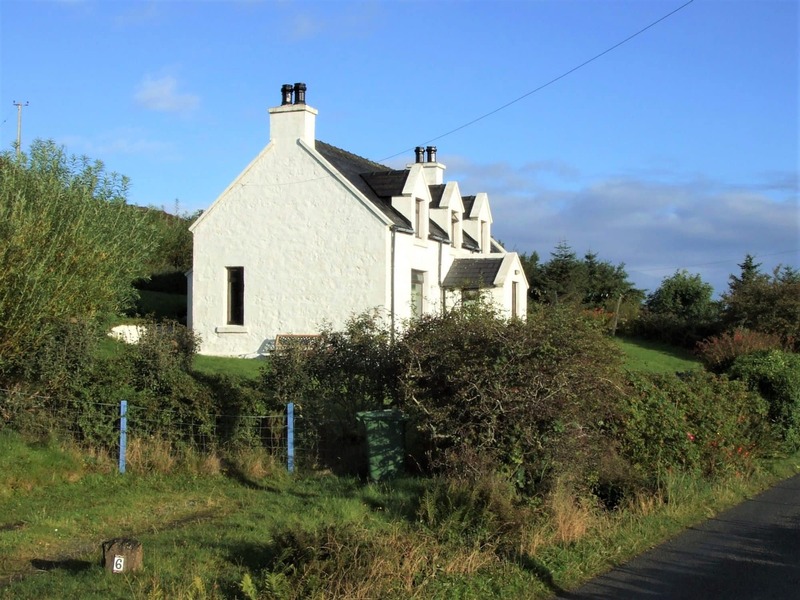 6 Totaig is a wonderful traditional detached croft house seated in a prime location with far reaching views in the wonderful Western edge of Skye. 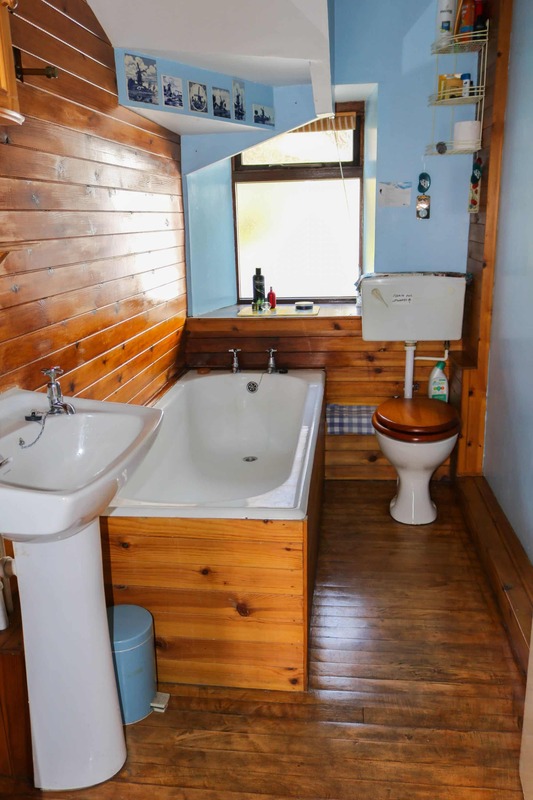 The property benefits from large living accommodation, including entrance porch, hallway, lounge, kitchen, diner, bathroom, three bedrooms, family bathroom, solid wooden flooring, v-lining, double glazing, an open fire and solid fuel Rayburn with back boiler providing heating. The property has been tastefully renovated to reflect the traditional interior and incorporate natural features throughout. 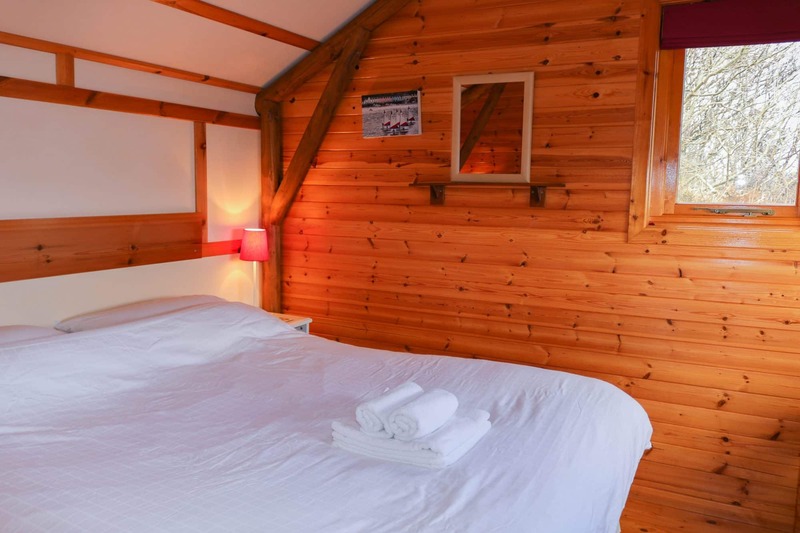 In addition to the main dwelling there is The Sheiling which is a beautiful one bedroom wooden chalet ideally situated to take in the stunning views on offer. Boasting a bright natural neutral interior with large warm open plan living and a wonderful raised decking area to take in all the views. 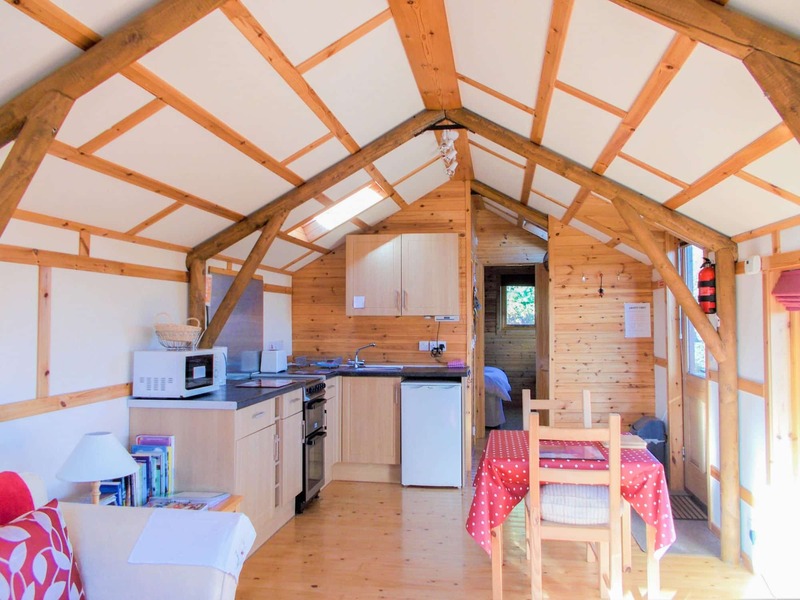 An excellent addition providing a great holiday letting opportunity as is its current use. 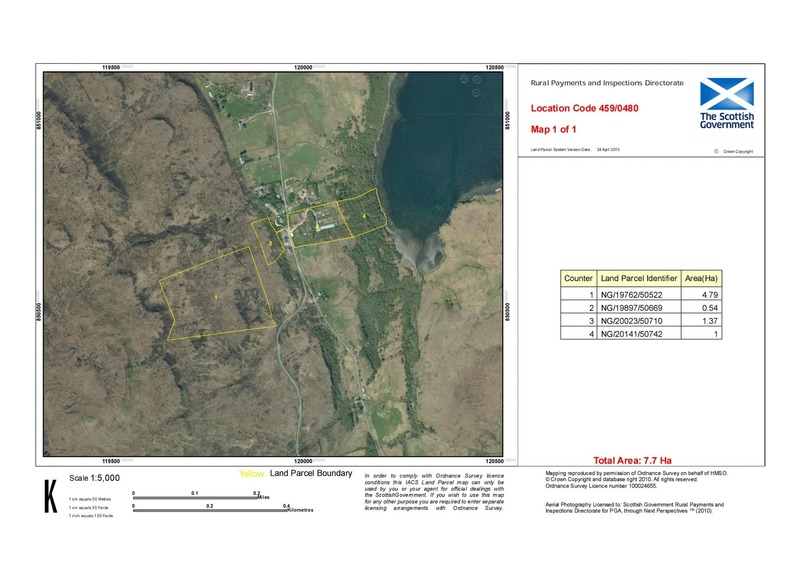 6 Totaig and The Sheiling sit within a 7 acre (to be confirmed by title deeds) tenanted croft and a further 11 acres (to be confirmed by title deeds) permanent apportionment land of which has been laid mainly to native woodland. 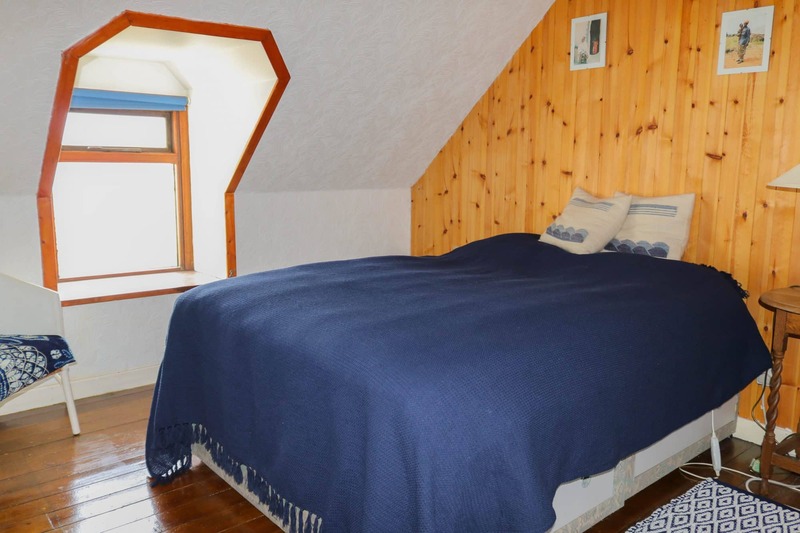 6 Totaig would make an ideal package for those looking for a wonderful family home with working croft and holiday letting accommodation in an idyllic quiet location with wonderful sea and mountain views. A truly wonderful opportunity and a must see for any interested parties. The domain names for “The Sheiling” and “Skye Vegetables” can also be included in the sale if wished. Steps lead to a bright neutral painted entrance porch accessed via wooden and glazed door with window to side. Tile flooring. 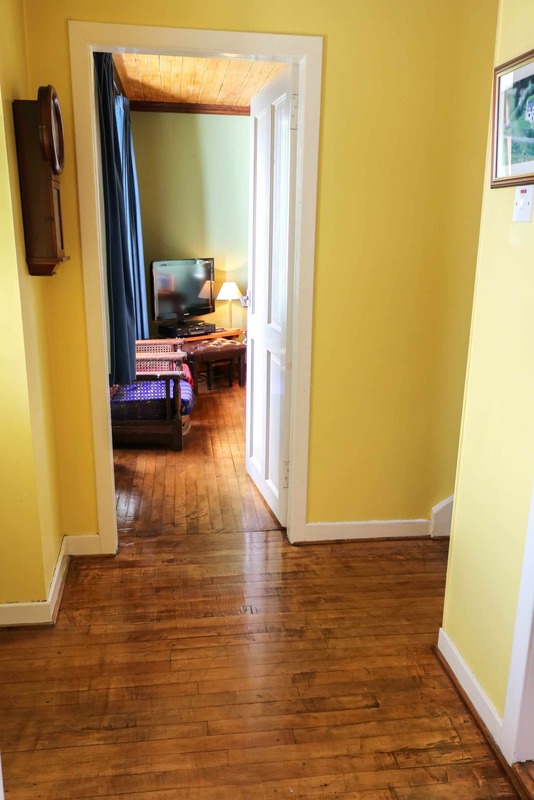 Access to inner hallway via wooden and glazed door..
Large entrance hallway providing access to some of the downstairs rooms. Painted. Solid maple flooring. Radiator. Staircase and banister lead to upper level. 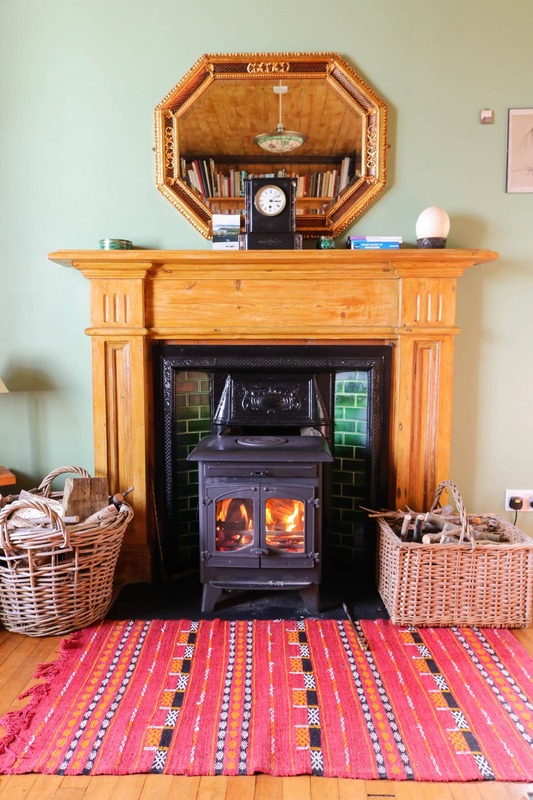 Large warm living area with wonderful cast iron Victorian fire place set with coloured tiles, wooden mantle and stone hearth. Wood burning stove. Dual Aspect with views over the garden and out to sea. Varnish V-lined ceiling and wall with painted decor. 1/4 panel wooden door from hallway. Built in storage. Solid maple wood flooring. Two Radiators. White three piece comprising of bath, W.C and wash hand basin. Solid maple wood flooring. Feature v-lined wall. Frosted window to rear. Fan heater and radiator. 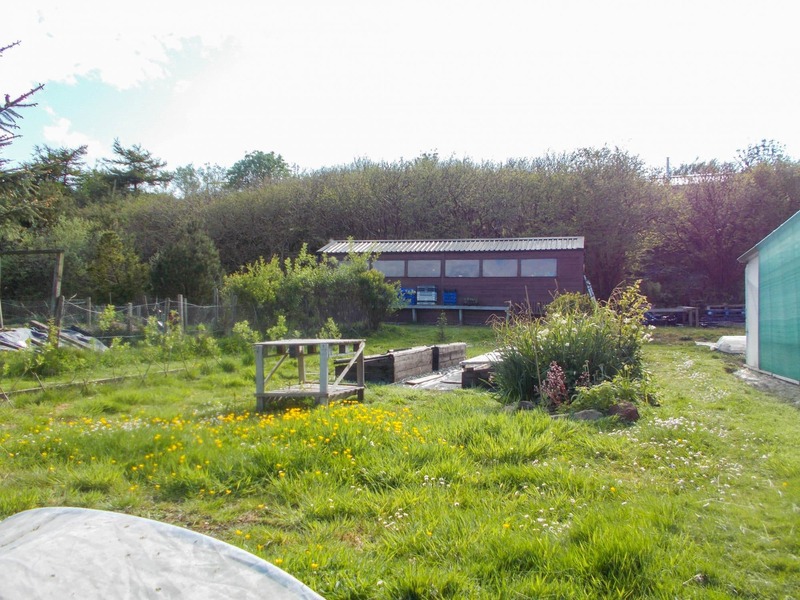 Large warm dining area with views over the sea, croft land and garden grounds. Accessed via solid wooden 1/4 panel door. Access through to kitchen. Magnificent solid fuel Rayburn with black tile surround. Painted decor. Feature v-lined ceiling and wall. Solid maple wooden flooring. Ample sized family kitchen. Dual aspect with window to either side. Wooden and glazed door leading to outside. Solid oak flooring. Radiator. Half v-lined walls. Painted decor. Ample base and wall units. Double chrome sink. 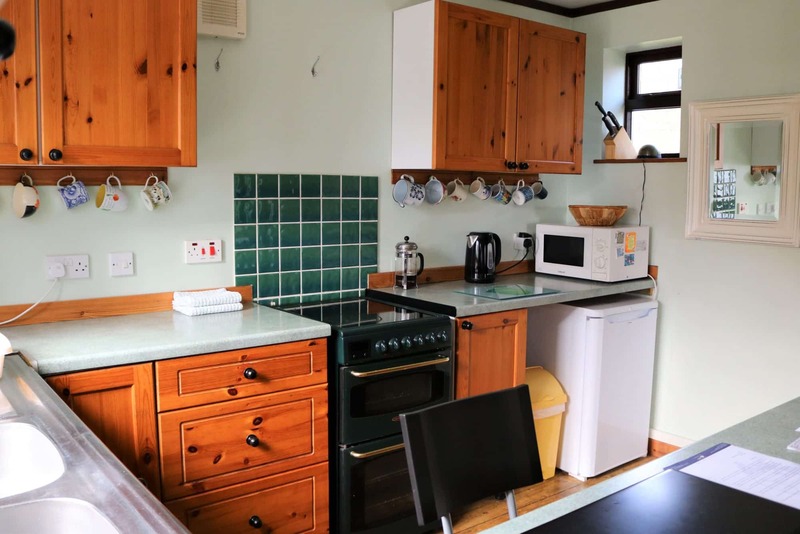 Space for free standing white goods and electric cooker. Breakfast bar with seating that delightfully captures the afternoon sun. 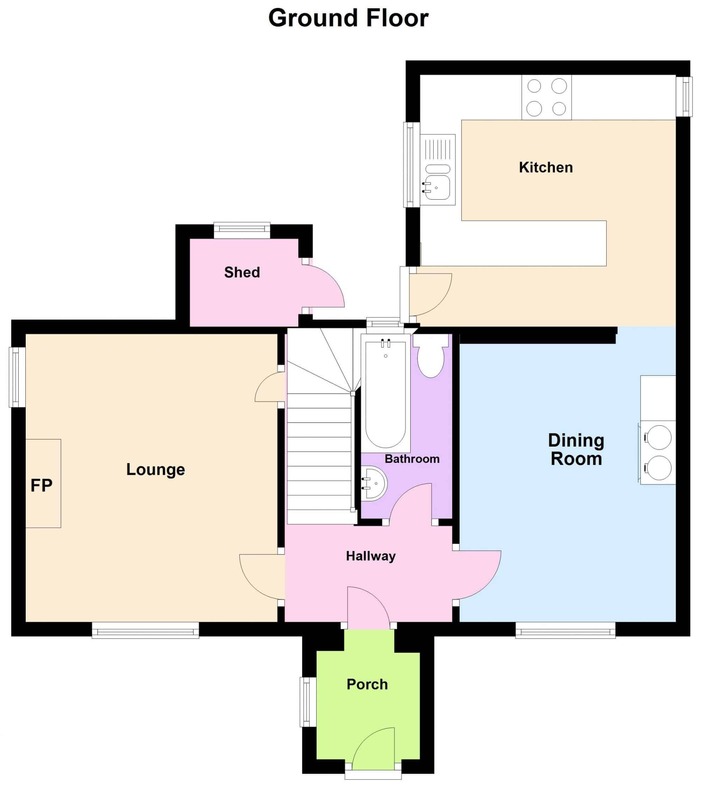 Great additional space ideally set as a utility space or workshop. Block built lean-to attached to rear of property. Access to rear garden via wooden door. Neutral painted decor. Electricity. Space for white goods. Concrete under cushion flooring. Window to rear. 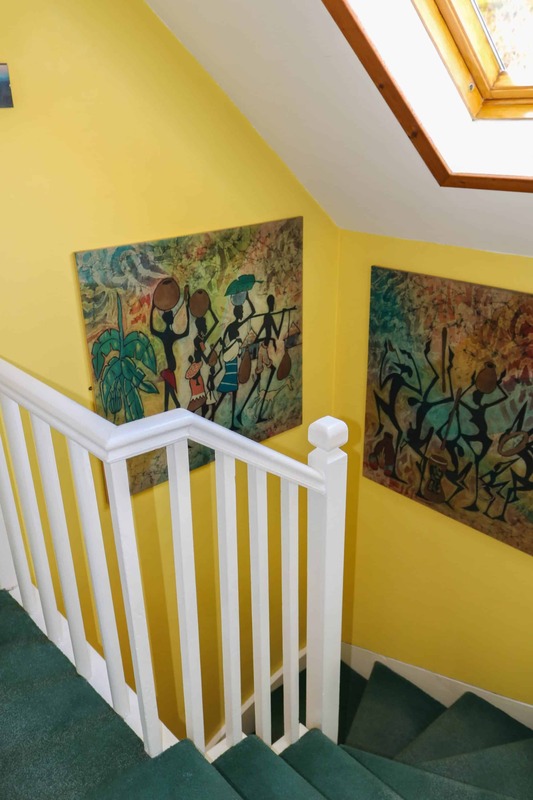 Bright stairwell leading up to landing accessing all rooms on upper level. Velux window to rear. Painted in neutral tones and carpeted. Wooden banisters. Loft access. Airing storage cupboard housing shelving. Fuse box. Large warm and bright double bedroom with views to the front over the sea and beautiful croft land. Solid wooden flooring. Radiator. Slight coomb in ceiling. Wallpapered. Feature v-lined wall. Accessed from hall via 1/4 panel wooden door. Built in cupboard housing hot water tank. 13’08” x 9’09” (4.18m x 2.99m) at max. 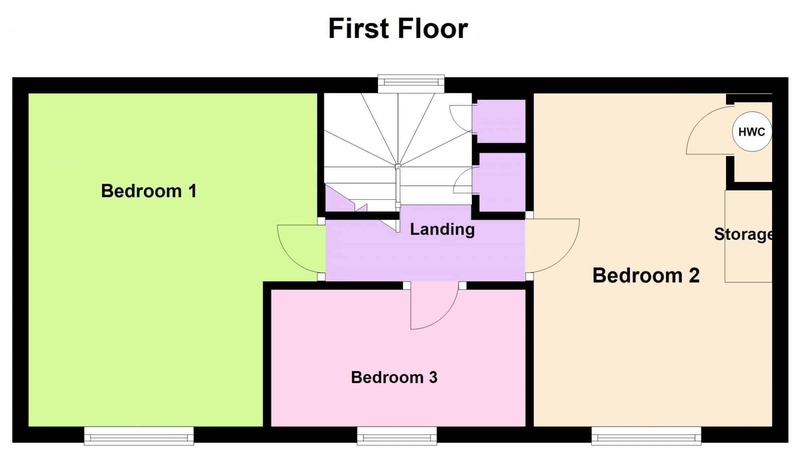 Single bedroom or study/office room with views to front out to sea. Access from hallway via 1/4 panel door. Painted decor. Carpet. 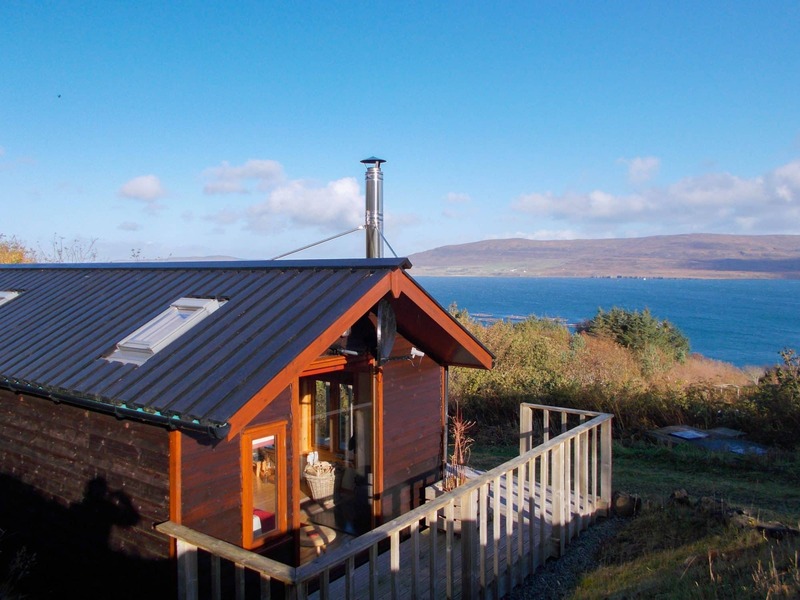 The Sheiling (shepherds hut in gaelic) is a wonderful one bedroom open plan living chalet set on its own de-crofted section within the 7 acre croft overlooking Loch Dunvegan, Leinish Bay and out towards the Cuillins. 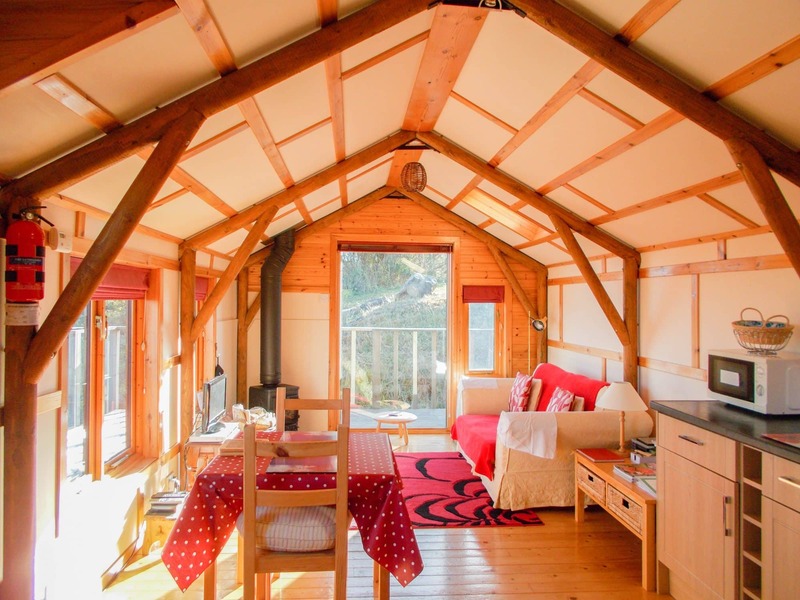 Built in 2009 from sustainable timber sources, it is double glazed with a wonderful multi fuel stove and boasts exposed timber frames and high ceilings creating a warm welcoming holiday let. Steps lead up to the raised decking and on to the wooden and glazed door into the living accommodation. The open plan area is warm and bright with multiple windows taking in all views on offer. Painted in neutral tones with exposed beams, high ceilings and a further two velux window. Multi fuel stove. Solid pine flooring. open plan kitchen area which houses wall and base units, white goods and free standing electrical cooker. Chrome sink with mixer tap. The majority of the contents and furniture to be included in the sale, including kitchen goods. King sized bedroom. Ideally set to take in the beautiful views on offer. 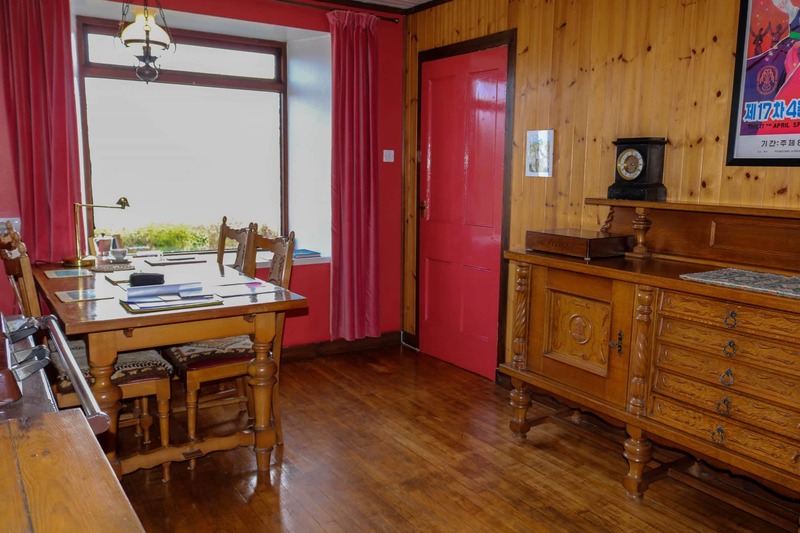 Large window to front taking in views across the Loch Dunvegan, and window to the side letting in more natural light. Neutral paint. Radiator. Slight coomb in ceiling. Solid pine flooring. Feature pine wall. 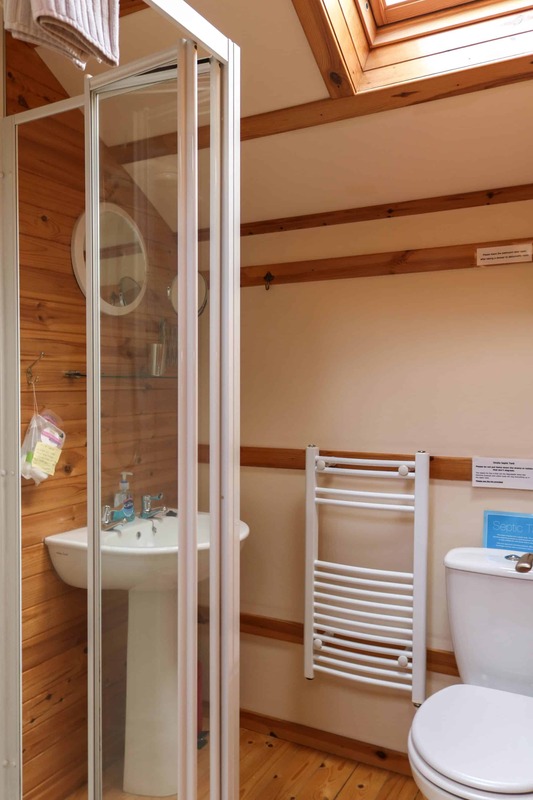 Ample sized shower room with electrical shower, white W.C and sink. Slight coomb in ceiling. Painted walls and feature pine walls. Heated Towel Rail. Solid pine flooring. Velux window. There is the handy addition of a storage / drying area opposite the shower room. 6 Totaig sits within its own de-crofted garden grounds with a delightful gated entrance to the front of the garden. Parking is provided to the side of the property or across the road at the top of the croft. The garden is bordered by well established shrubs, bushes and trees, is fully enclosed and laid mainly to lawn with a seating area to the side to enjoy the sun. There is a wood store / shed to the side that has recently been re-roofed and painted. 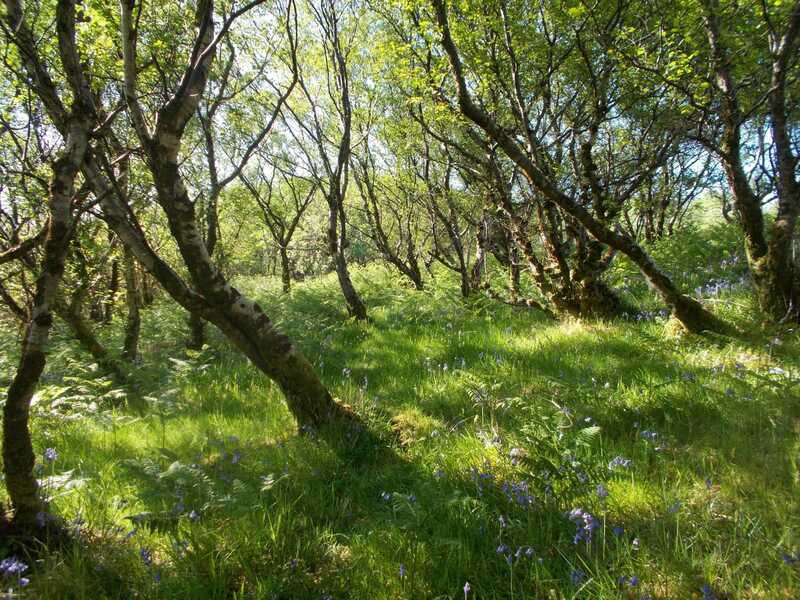 6 Totaig sits within a 7 acre (to be confirmed by title deeds) tenanted croft with a further 11 acres (to be confirmed by title deeds) permanent apportionment land of which is laid mainly to native woodland. The croft land has been well kept and worked for many years with access taken from the township road leading down to The Sheiling with access continuing down to the large shed. 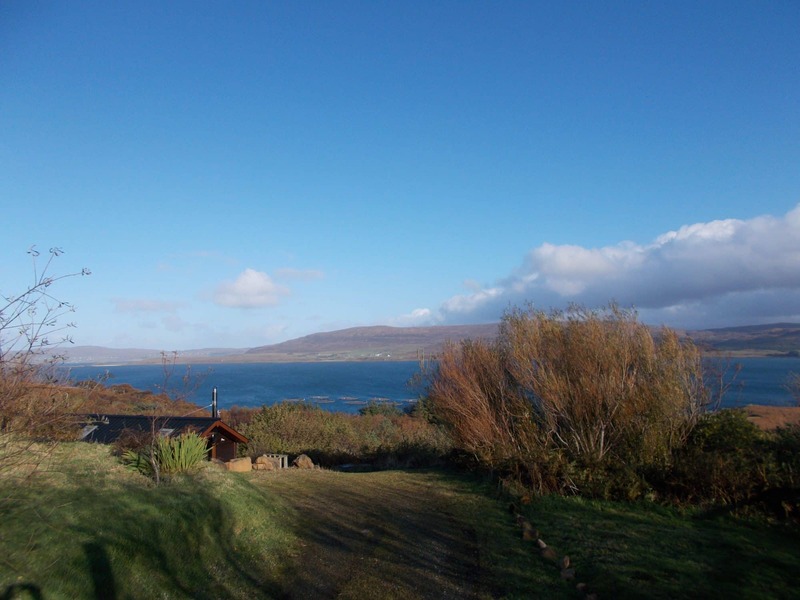 The croft land is fully enclosed by deer fencing and hosts large gates, with a quaint metal gate leading down through the native woodland to the shore (this is steep and requires good footwear and a good level of fitness). At the shore there is a seating area to enjoy the views on offer along with private mooring licence. 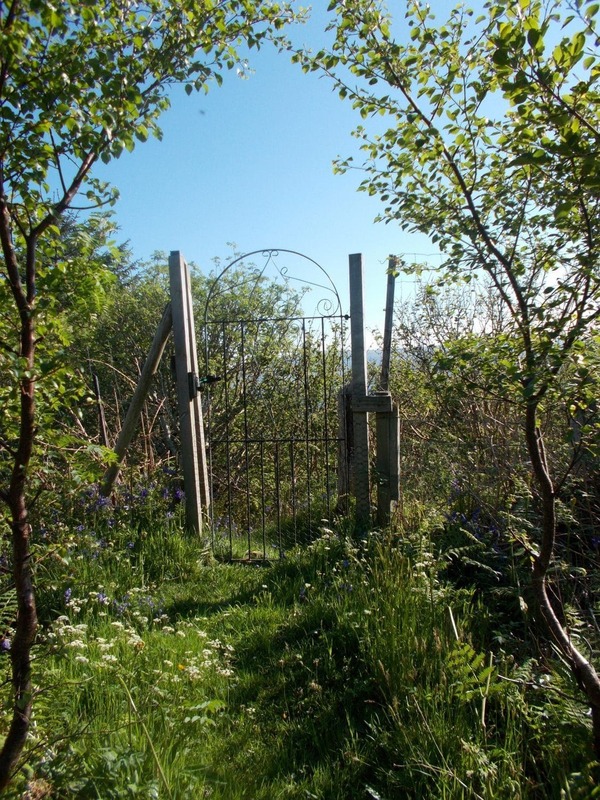 The croft is carefully managed to provide a wonderful wildlife habitat for flora and fauna with several seating areas provided to admire the view, a large soft fruit garden, apple trees, native woodland areas, a pond and small stream running through. 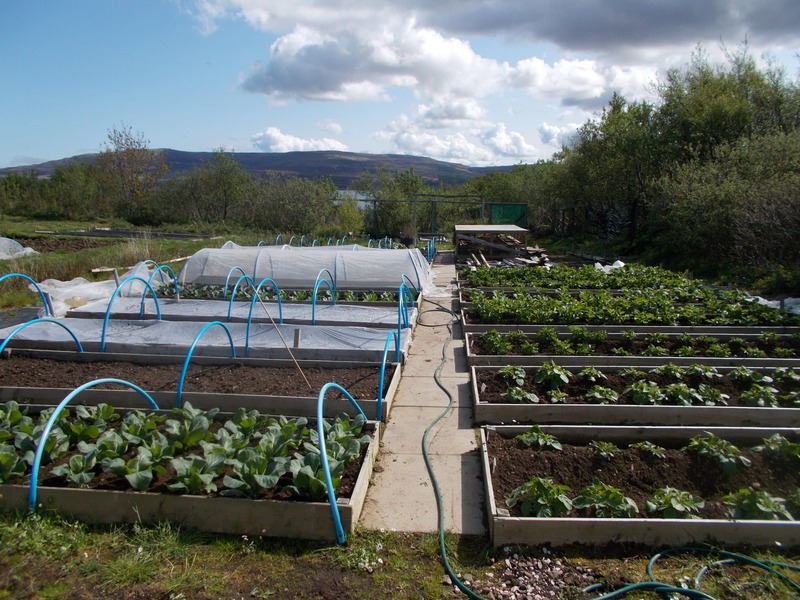 Two large poly tunnels along with a large number of well established and fertile raised beds and open growing areas which present a fantastic opportunity either for self sufficient fruit and vegetable production or for the use as a small market garden as has been done so successfully for the last 14 years, and there is also a large wooden agricultural shed currently used as a workshop. There is an original byre which has been tastefully rebuilt with a roof being added to create a wonderful storage space just off the main township road. The croft land offers the potential for further development to suit prospective purchasers requirements. 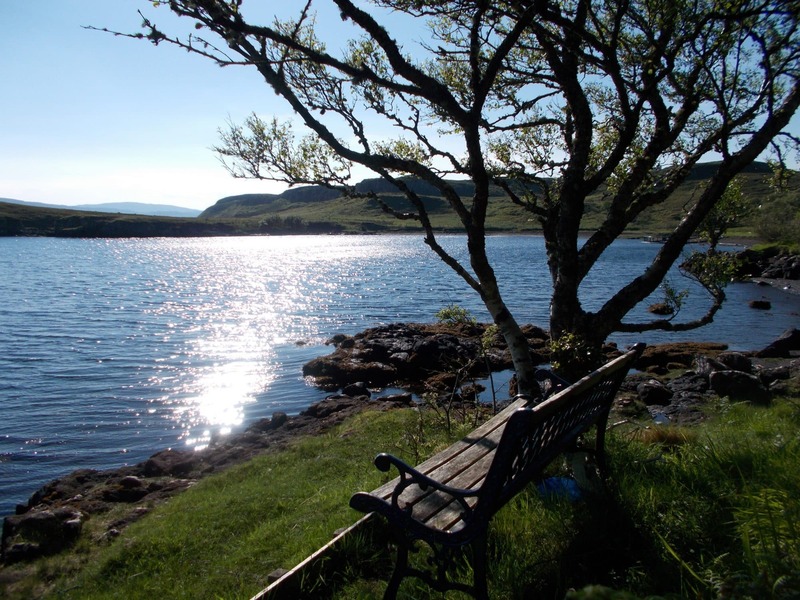 Totaig is a friendly crofting township situated on the beautiful Duirinsh peninsula from which there are desirable open views across Loch Dunvegan and beyond. Glendale is located only 2 miles away and hosts a local shop and school. 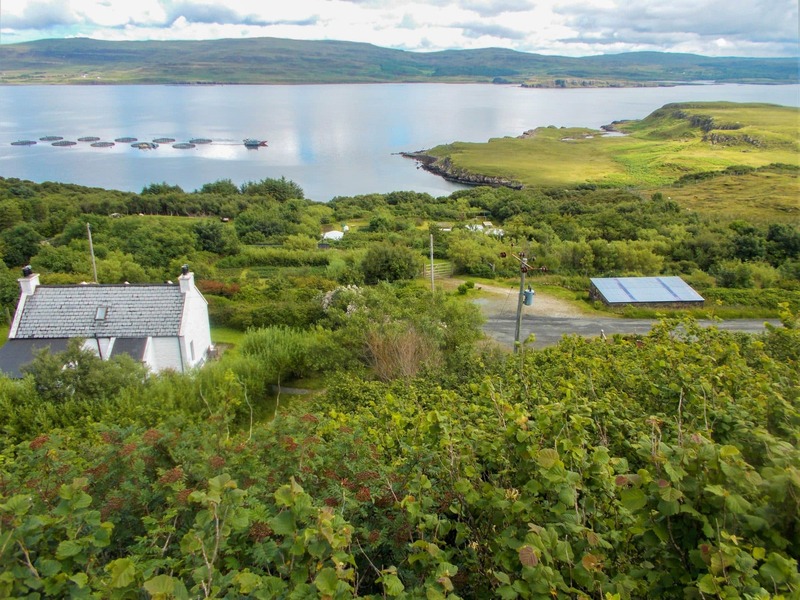 The nearest main village is that of Dunvegan a few miles away which has good local services including grocer’s shops, a baker’s shop, a modern medical centre, hotels, restaurants and a primary school. Portree the Islands capital is 22 miles to the southwest and offers excellent services including secondary schooling. From Portree take the A87 and head north to Dunvegan. From Dunvegan, follow the signs for Glendale on the B884. Continue on the single track road for approximately 5 miles until you reach Colbost and pass by The Three Chimneys Restaurant. Continue along the uphill route until you approach a sign for Husabost on the right hand side. Drive down the hill, then up again. 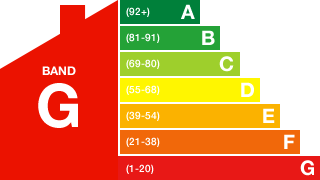 The road then levels off, and The Sheiling and 6 Totaig (look out for a wooden sign “The Sheiling”, and a sign for No. “6″ on the other side of the road). The Sheiling is exactly 0.7 miles from the turn-off for Husabost. Ground Floor: Kitchen. Dining Room. Hallway with stairs. Entrance Porch. Lounge. Bathroom. 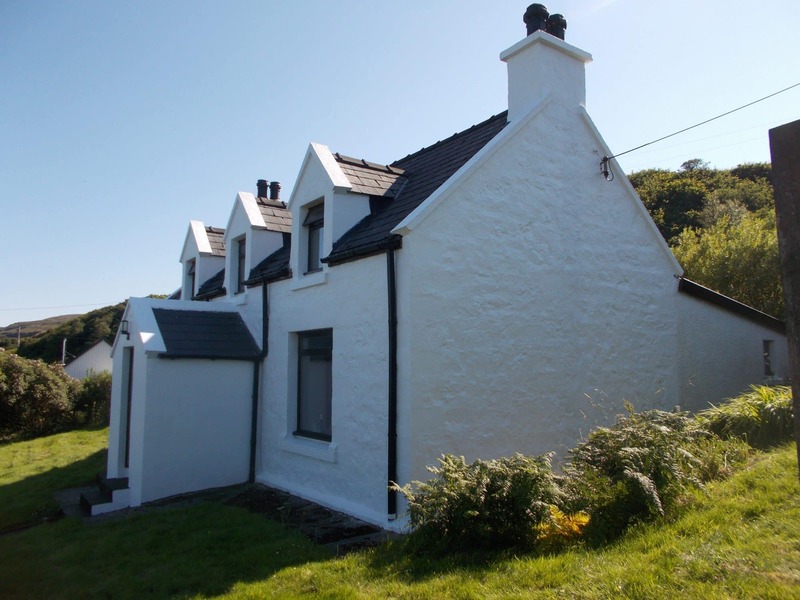 Offers in the region of £340000 are invited and such offers should be submitted in proper Scottish legal terms to The Isle of Skye Estate Agency.